During the holidays, most of us look forward to taking a break from work to enjoy ourselves with family and friends. Holiday parties, family get-togethers and evenings out are great for securing our social connections, but if we’re not careful, it can also do serious damage to our health. Of course, no one wants to be told to count calories this time of year, but consider this: researchers recently reported that in all three countries studied — United States, Germany, and Japan — people gained weight around the holidays. Worse, half of that weight gain was still there the following summer. Other studies have shown similar results. In 2000, for example, researchers found that weight increased significantly during the holiday period as compared with the rest of the year and was not reversed during the spring or winter months. Gaining a pound or two would be no big deal if we could lose it come January, but that’s not what usually happens. Instead, at least some of that weight — and usually more than we think — ends up hanging around for good. Year after year, we gain a little more, increasing the risk that within five to 10 years, we will become overweight and have to deal with all the health consequences that go with that. It’s not only middle-aged or older people who have to worry about it, either. A University of Oklahoma study found that even college students weren’t immune to weight gain during the holidays. In other words, it starts early. So, how do we keep a lid on calorie count without taking all the joy out of the holiday season? There’s one simple thing you can do, which is to cut back on the fancy drinks. Yes, they’re tasty and often warm and cozy too, but most are chocked full of calories, sugar, and other unhealthy things. Outside of holiday candy and treats, special holiday drinks are often to blame for winter weight gain. That means if you can avoid them for the next few weeks, you could skate through the holidays without gaining a pound. You don’t always have to abstain completely. In many cases, you can substitute a healthier but just-as-tasty alternative. Why not give it a try this year? 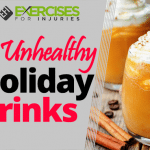 The following are seven of the most common unhealthy drinks served during the holidays. 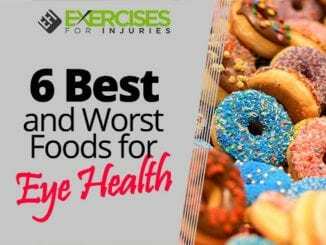 We tell you why they’re bad for you and how, if you can’t resist, you can make them better. In general, when trying to watch your weight, avoid drinks with cream in them and those with dessert names like pumpkin pie. These usually have more calories than others do. Choose a small size, and ask your beverage maker to “make it skinny.” Finally, if you make them at home, you can control the fat and sugar content. Yes, it’s traditional and it’s tasty, but one cup has about 340 calories, 19 grams of fat and 21 grams of sugar. It takes about an hour of exercise to burn off that many calories. For the average 2,000 calorie daily intake, the recommended fat intake is 65 grams, which means that one cup of eggnog spends about 30 percent of your daily allotment. The American Heart Association recommends no more than 37.5 grams of sugar a day for men and 25 grams a day for women. That one cup of eggnog pretty much shoots that, too. If you add any sort of alcohol to that cup, you’re only increasing the damage. An eggnog latte is worse. The typical tall size from Starbucks — even if you use skim milk — will cost you 350 calories and a whopping 39 grams of sugar. To make it better: Make a regular cup of coffee and add a little eggnog to it, using it like cream. Alternatively, mix it with low-fat milk in a one-to-one or two-to-one ratio of milk to eggnog to lighten up on the fat, sugar, and calories. Look for low-fat eggnog alternatives, or make your own healthier eggnog at home using low-fat milk, egg whites and vanilla extract or vanilla beans. The peppermint mocha is one of the most popular drinks during the holidays and, unfortunately, so because if you choose the regular 16-ounce size, you’ll have a drink with 470 calories and 22 grams of fat, including 13 grams of unhealthy saturated fat. The pumpkin spice latte is not much better, with 410 calories and 17 grams of fat per 16-ounce serving. In fact, it’s best if you think of most specialty coffee drinks as treats rather than coffee. Enjoy them occasionally for dessert if you like, but don’t think of them as a replacement for your regular morning jolt of caffeine. 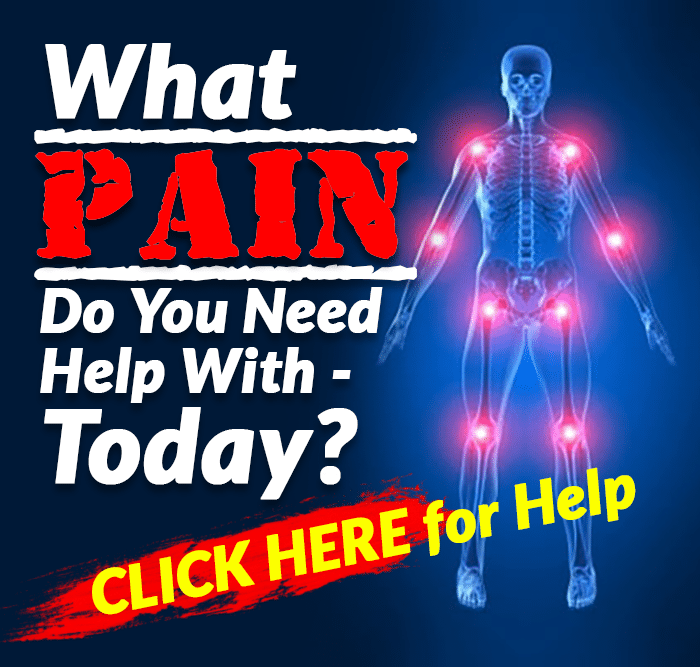 If you are addicted, try these adjustments. To make it better: Order the small size, skip the whipped cream and use nonfat milk. That will take you down to about 220 calories and 2 grams of fat and eliminate the saturated fat. Ask your server for the “skinny” version, which typically includes skim milk and sugar-free syrup. Smooth and creamy, these are treasured holiday favorites, but they do a number on your waistline if you let them. Typically, they contain Kahlua, vodka and heavy cream. One white Russian, for example, contains about 360 calories. A mudslide, which is a white Russian with the addition of Bailey’s Irish Cream and chocolate syrup, can be as high as 755 calories at Applebee’s, along with 32 grams of fat and 80 grams of sugar. It’s better if you think of this one as a shake rather than a side beverage. Plus, the mudslide usually contains high fructose corn syrup in that chocolate syrup, which studies show is even more likely to be fattening than regular sugar. Other versions that include half-and-half instead of heavy cream come down to about 300 calories. To make it better: Try a “skinny” white Russian, which usually contains skim milk and weighs in at about half the calories. You can also make one yourself with vodka, Kahlua and almond milk or coconut milk instead of regular milk and save yourself calories and fat. One made like this is only about 180 calories. Surely this one is innocent? Well, it depends on what kind you get or make. The ready-mix kinds usually aren’t bad on calories — around 120 to 150 per cup — but they are typically full of sugar, preservatives and partially hydrogenated fats. If you get it at a coffee shop or specialty shop, it may be even worse. Panera Bread’s hot chocolate, for instance, which comes with caramel sauce and chocolate chip marshmallows, is about 490 calories with 62 grams of sugar. Starbucks’ grande hot chocolate isn’t much better at 400 calories and 43 grams of sugar, and Dunkin’ Donuts medium hot chocolate is 330 calories and 43 grams of sugar. To make it better: If you make your own cup with low-fat milk and real unsweetened cocoa powder — add in a pinch of sugar and a drop of vanilla extract for flavor — you’ll end up with about 200 calories, and you won’t have all the preservatives and partially hydrogenated fats. Plus, you’ll get the benefit of the healthy antioxidants in the chocolate. At the coffee shop, ask for the skinny version made with skim milk and skip the whipped cream. This treat is made from rum, butter, hot water or cider, sweetener — usually brown sugar — and spices. Sometimes, ice cream is added. It’s popular around the holidays because it’s warm and soothing and has a rich flavor. As you can imagine, however, the butter adds fat and calories, so that the typical serving comes in at about 350 calories and 12 grams of fat, of which about 7.5 grams are saturated fat, which is more than a third of the recommended daily intake. To make it better: Cocktail experts recommend using Butter Buds — a butter substitute — in place of real butter to cut down on fat and calories. You can also use an alternative sweetener and stay with water instead of cider to slim it down even more. Although popular at any time, this drink — triple sec, tequila and lime or lemon juice — can become even more popular during the holidays when bartenders add special flavors like cranberry, spices, pomegranate, chocolate and more. 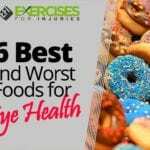 One serving can contain up to 450 calories, though, mostly because of the high sugar content. Frozen options are usually worse, and can raise the calorie-count to 500 or more. To make it better: Ask your bartender to use less triple sec, cut back on the tequila to reduce calories and use fresh lime juice instead of the sweetened version. Nix the sugar and sweetened syrup and dilute it a bit with zero-calorie soda water. This cocktail is made of eggs, milk, sugar, rum, brandy and spices, and is usually served hot. It packs about 340 to 460 calories per 8-ounce glass. Some call it the “souped-up eggnog” because it lands in about the same category when you’re talking about calories, fat and sugar. To make it better: You can ask for skim milk to cut down on calories and fat and for low-calorie sweetener. 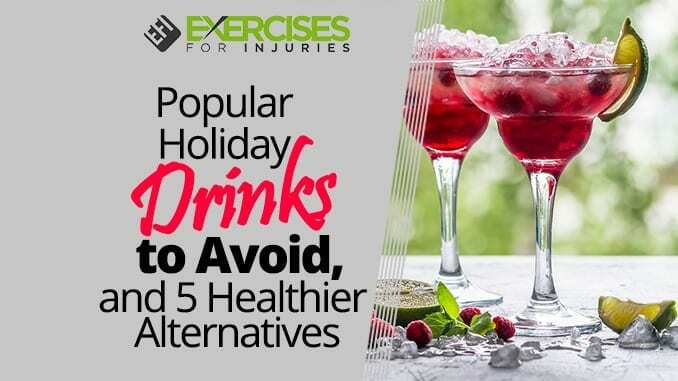 To make it easier to enjoy a nice beverage without having to worry about “making it skinny,” try these healthier alternatives that are much less likely to expand your waistline. Some also provide nutrients like antioxidants, vitamins, and minerals. These are typically much more reasonable in calorie counts — about 100 calories per glass — and contain little to no added sugar. You also get the healthy polyphenols from the grapes. Just be careful of the bubbles as they can cause headaches in some people. Champagne isn’t good for your teeth, either, so be sure to rinse after the party’s over. Similar to champagne, wine has only about 100 calories per serving and has healthy antioxidants that can fight free radical damage and reduce the risk of disease. Red wine contains resveratrol, which has been linked to reducing the risk of heart disease. Just don’t overdo it. The American Heart Association recommends no more than one drink a day for women and no more than two per day for men. Kombucha is a type of fermented tea and contains probiotics, vitamins and minerals that are healthy for you. Probiotics have been linked in studies to healthy digestion, a strong immune system and a number of other health benefits. The ginger is a healthy addition too and can ease digestive ailments. One serving contains only about 30 calories and only two grams of sugar. This traditional holiday drink is made with tea, lemon, honey, cinnamon, cloves and brandy. One serving usually contains about 150 ­to 160 calories but can be high in sugar, so cut back on the honey if you can. You’re also getting the healthy antioxidants in the tea and all the spices, which are known to help reduce the risk of disease. This is a good choice anytime, but unique flavors can give you the feeling that you’re indulging yourself over the holidays without hurting your health. Inside you’ll find carbonated water and often vitamin C, especially in flavors like pomegranate and lime. Regular sparkling water contains no calories, and most flavored versions don’t, either, but it’s always best to check or to ask. Sometimes, adding real fruit to plain sparkling water is your best bet. Elina E. Helander, et al., “Weight Gain over the Holidays in Three Countries,” N Engl J Med., September 22, 2016; 375: 1200-1202, http://www.nejm.org/doi/full/10.1056/NEJMc1602012#t=article. Jack A. Yanovski, et al., “A Prospective Study of Holiday Weight Gain,” N Engl J Med., March 23, 2000; 342(12):861-867, https://www.ncbi.nlm.nih.gov/pmc/articles/PMC4336296/. Hull HR, et al., “The effect of the Thanksgiving holiday on weight gain,” Nutr J., November 1, 2006; 5:29, https://www.ncbi.nlm.nih.gov/pubmed?Db=pubmed&Cmd=ShowDetailView&TermToSearch=17118202&ordinalpos=1&itool=EntrezSystem2.PEntrez.Pubmed.Pubmed_ResultsPanel.Pubmed_RVAbstractPlus.